With the GPVWC Superleague United States Grand Prix being only hours away. We take a look at what lies ahead for the dynamic duo of Jarl Teien and Petar Brljak this time around. 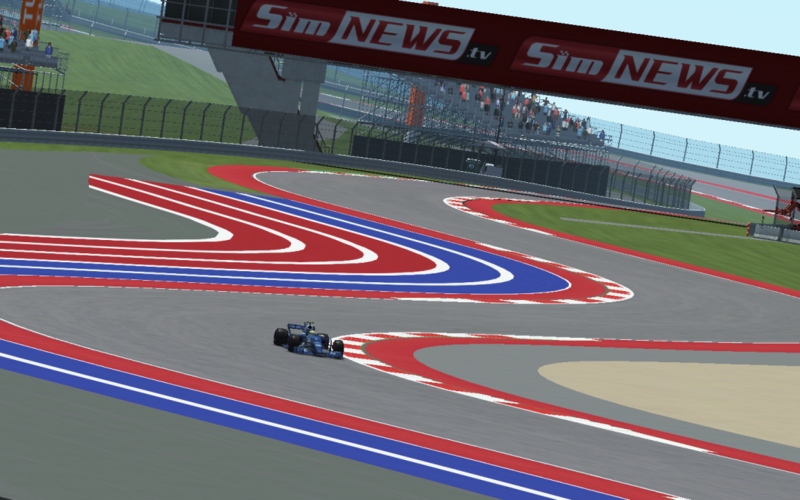 The Circuit of the Americas is one of the newer additions to the Superleague calendar, having only made its debut in the 2014 season and seeing three seperate winners over the four races the track has held in GPVWC’s top tier series (Alex Cooper 2014 + 2015 , Florian Geier 2016, Rudy van Buren 2017). The 5.513 km (3.426 mi) anti-clockwise circuit lays inside the heart of Texas and features a mix of tight, traction vital corners alongside sets of flowing sweepers that put the aerodynamic and mechanical grip through its paces. With the circuit being one to push engines to breaking point, you can expect to see teams bringing fresher engines to this round of the championship to avoid the risk of an engine failure midway through the event. Coming into tonight’s round of the 2018 campaign we saw a shake up of the Drivers Championship after Petar Brljak took the victory alongside Alex Siebel recieving a 20 second post-race time penalty after finishing second place of which dropped him down to sixth after the results became official. So what does this mean for us here at Edge Esports? Below is the current championship and the implications as we head into the final three rounds of the year. As much as the title fight will go onto the final two rounds of the championship. Brljak, of whom has jumped both Teien and Kappet to now be sat second in the championship, has his work cut out if he wants to have any realistic shot of winning this year’s title with Siebel being very much in the drivers seat. In the Constructors Championship it very much is all to play for. With the gap only being 44 points and the maximum points haul being 135 points the title fight, so long as each team consistently finishes at the top, will go to Abu Dhabi. This we will cover in a later Eyes Forward. Siebel Wins – Brljak 3rd or lower. Siebel 2nd – Brljak 5th or lower. Siebel 3rd – Brljak 8th or lower. Siebel 4th – Brljak 11th or lower. Siebel 5th – Brljak 13th or lower. Siebel 6th – Brljak 14th or lower. Siebel 8th or lower – Title goes to Brazil. With 56 laps of racing ahead of us there is an extremely large cloud of tension in the air as the teams and drivers make their final preparations. Join us tonight for what could be the deciding race in the championship LIVE on the GPVWC Youtube channel from 8:30pm CEST. the highlights video of the #ESLracingMAPFRE event is out!